Red Horn Kratom – Exactly as Red Borneo but Differently Shaped Leafs? You are here: Home / Kratom / Red Horn Kratom – Exactly as Red Borneo but Differently Shaped Leafs? Red horn kratom, or simply red borneo with different looking leafs? Let’s see what this ”unpredictable strain” is all about. Horned kratoms are rare but popular strains. And for good reasons too, it’s difficult to grow and cultivate. The red-veined types are strongly valued for the therapeutic effects and multi-purpose use. It offers euphoria at high doses, pain relief, more energy and improved mood. 3 Why Take Red Horn Kratom? Within the deep jungles of the Kalimantan region of Borneo, you can find Horned kratom. The name ”horn” gets the inspiration from the shapes of the leafs. The leafs are similar to maeng da’s. And because of that, many people believe red horn is a hybrid of maeng da and red-veined kratoms. Sometimes red horned is mistaken as maeng da. Or to a more, almost identical strain, red borneo. Both feel slightly different, depending on the source, with many similar effects. You might now even notice if you’re taking red borneo or red horn. Same plant but differently shaped leafs? You can read all about red borneo here. Red horn kratom is similar to Borneo’s relaxing effects. The red-veined kratoms are usually packed with the potent alkaloid, 7-hydroxmitragynine. So, you get the most wanted medical and therapeutic benefits from one leaf. Why Take Red Horn Kratom? 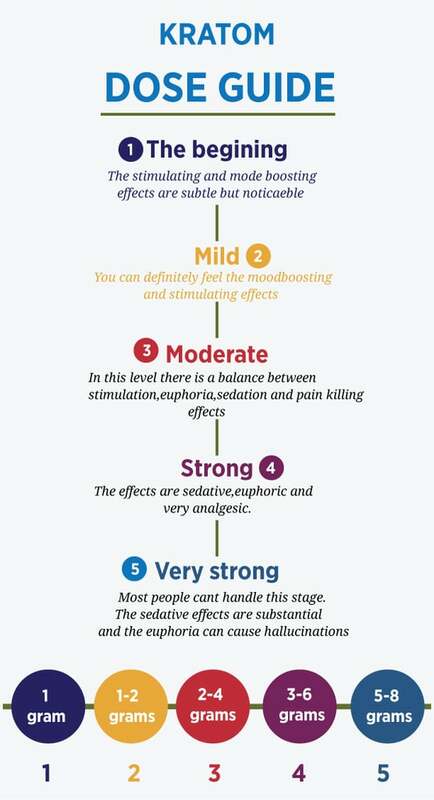 If you want a sedative strain that can improve your mood, you should try red horn kratom. This is a strain you’ll also find unpredictable. It can feel opiate-like, similar to red bali or red kali. For me, I found red horn kratom to hit me the hardest compared to other red veins. Many people use it as a sleepy-time kratom. That’s not strange because you’ll feel the distinctive relaxed and laidback feelings it produces. And it’s not too sedative, which is good. You won’t feel saggy in the morning. Red horn works wonder for you if you have depression and/or anxiety. Here’s a guideline. Take it easy at first. Start at level one or two. You don’t need to take too many grams to feel red horn’s power. Red horn kratom is a potent strain that’s getting more popular. The effects are calm and happy. Don’t buy red horn if you’re after a painkiller. Yes, it can reduce pain effectively but it’s better for depression and anxiety. And for being an unpredictable strain, you should try it and see what unique effects you get. I found that the red horn gave me very good pain relief, relaxation & sleep. Didn’t wake up feeling hung over. I have chronic pain with a nerve root being pushed on in my lower spine & it killed the pain. I was shocked at how well it worked for me. And I had the best sleep in years. Definitely going to be a favorite.